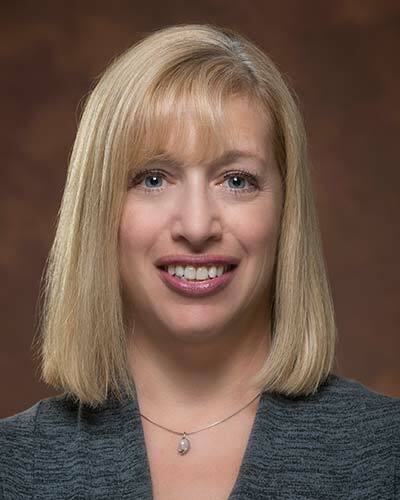 Dr. Julie A. Schneider is the The Deborah R. And Edgar D. Jannotta Presidential Professor of Pathology (Neuropathology) and Neurological Sciences, and Associate Director at the Rush Alzheimer’s Disease Center, at Rush University Medical Center. She completed her Neurology residency at the University of Chicago and Neuropathology fellowship at Emory University in Atlanta and is board certified in both specialties. Dr. Schneider is also certified in Geriatric Neurology, and has a Master’s Degree in Clinical Research with a focus in Epidemiology. She is the Neuropathology Core Leader of the Rush Alzheimer’s Disease Center and the senior neuropathologist for multiple studies including the Religious Orders Study, Rush Memory and Aging Project, and Rush Minority Aging Research Study, Rush Latino Core, and NCRAD (National Cell Repository for Alzheimer’s disease). Dr. Schneider has provided peer review for over 25 journals; has been invited to multiple journal editorial boards; and has provided numerous grant peer reviews for the National Institutes of Health, Alzheimer’s Association, and other agencies. She has served on numerous scientific and external national and international advisory boards for academia and industry; and has presented findings from her research both nationally and internationally. Dr. Schneider has extensive experience with clinical-pathologic epidemiologic studies of aging and dementia and has over 275 peer-reviewed publications and 4 book chapters. She also has extensive experience collaborating with researchers, participating in multicenter grants and initiatives, and partnerships with industry to advance science. The foundation of Dr. Schneider’s research is the exploration of pathologic factors in the clinical expression of cognitive and motor decline in aging, with a focus on vascular, TDP-43, hippocampal sclerosis pathologies in aging and Alzheimer’s dementia. She is interested in linking pathology with risk factors and neuroimaging to inform on disease pathogenesis, biomarkers, and to ascertain mechanisms of susceptibility, resistance, and resilience to age-related cognitive impairment.